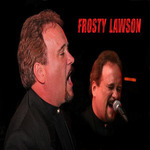 Sign up for Broadjam today to follow Frosty Lawson, and be notified when they upload new stuff or update their news! Frosty will be singing with Jackie Core and playing all your favorites and some of his original music! The Italian menu is off the hook! !